Like many other tiles in the Manor Collection, Summer Kitchen started out as a large special commission for a farmhouse floor. Sometimes a customer has a particular shape and size of brick tile in mind, and if the job is large, we will make customer molds for them. Summer Kitchen is just like Rutherford, except that it is slightly shorter. 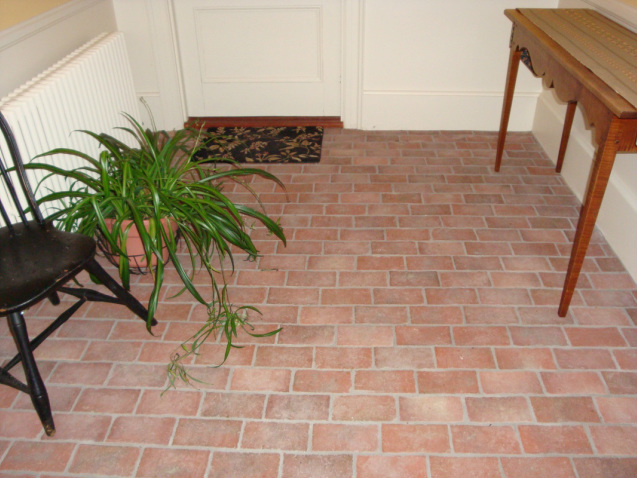 We find that this size is a popular brick tile flooring choice for small areas, like powder rooms. The top is relatively smooth, and the sides are straight. The example of Summer Kitchen pictured here shows a possible color variation that comes from wood ashes fired into the clay. 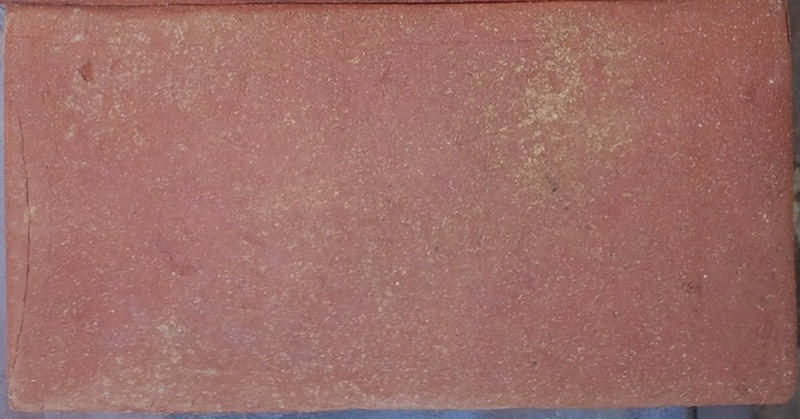 Keep in mind that the same clay is used on all our brick tile styles, and that the different color effects you see on one can be made on any style. The appearance and texture of the tile can also be affected by whether you use either a penetrating sealer, or a low-gloss sealer. Contact us, and we can talk with you about the best choices for your project.